Howard Gardner, a developmental psychologist whose research articles and books have been translated into more than thirty languages, outlined his groundbreaking multiple intelligences theory in his book Frames of Mind. He posited that there are eight main types of intelligence that affect the way children process and retain information. 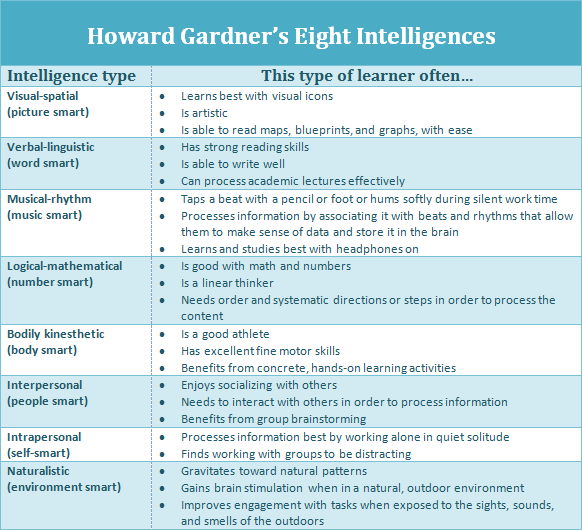 You might have already studied these in your college courses, but here’s a refresher chart of the eight intelligences, along with some general guidelines on how to spot each type of learner. Imagine sitting in a traditional fifth-grade classroom. It is time for a social studies lesson on Colonial America and the teacher has each of the students reading one paragraph out loud to the class as each turn passes to the next student in the row. You see several students not paying attention. One student is tapping a beat lightly on his desk; another is watching the lawn mower cutting away outside the window. A third student is disassembling a mechanical pencil inside her desk. Still another is secretly writing a note to a friend. Several others are counting ahead to find and practice their assigned paragraph to avoid embarrassment should they stumble while reading aloud. Now imagine a second fifth-grade classroom. It is also time for social studies, but this time, students are arranged in desk clusters of four students. Colonial-era music is softly playing in the background while the teacher walks from group to group, facilitating activities and interacting with each of the students. One group is using the textbook information to collaboratively write a song with lyrics pertaining to the lesson topic. Another group is using four laptop computers to explore a teacher-designed WebQuest on the topic. Several students are working in their group on individual posters that will explain facts and concepts about the topic. Another group is in the back of the room developing a role-play skit to share with the class at the end of the work sessions. Another group is standing at the SMART Board in the front of the room, creating a poem in the cinquain form on Colonial American daily life. All of the students are engaged and no one is watching another group; they are aware that they will all get a chance to pick any three stations they wish to work at over the next 3 days. So what is the difference, besides student engagement? The second classroom involves student choice in learning the lesson content based on a student’s own learning style preferences. The student who was disassembling the mechanical pencil is a tactile student who is now able to manipulate the computer WebQuest. The student looking out the window may be a visual learner who is now able to work on creating a poster. The student tapping a beat is an auditory learner who can now tap out a beat to go with the song lyrics the group is creating. The student social butterfly writing the note no longer has a need to do so, now that he has the opportunity to work with group members. On the other hand, students who work better alone (intrapersonal learners) have the option to create their own posters. Last, the group role play allows kinesthetic learners an opportunity to express the content with action. The major difference is that the second teacher harnesses the power of learning styles, learning modalities, and multiple intelligences. In which classroom would you rather be learning? In which would you rather be teaching? The change agent in moving from the first classroom scenario to the second is the teacher and how he or she uses learning style theory to affect teaching practice. Say you’re introducing the math concept of box and whisker plots. During the first 5″“10 minutes of class, hand out 11 index cards with numbers on them to some of the students. Ask the students to line up facing the class and hold up the cards, with the lowest number on the left side of the class and the highest on the right side. Next, ask the students to identify the lower extreme and the upper extreme of the range of numbers. Give the student holding the lowest number the end of a piece of yarn to hold, and run the yarn all the way over to the student with the highest number, who will hold the other end. Students will now see a line running the length of the range of numbers. Ask students to identify the median number, the lower quartile, and the upper quartile, and help them create a life-size box and whisker plot on the floor with meter sticks. After this, you can have the students return to their seats and for a more traditional mode of instruction. But this investment of 5″“10 minutes of time at the beginning of class has done two important things. First, you’ve engaged four different types of intelligence through this single activity: visual-spatial (students see the yarn line and meter-stick box), kinesthetic (they are up and moving to create this human box and whisker plot), interpersonal (they interact with each other as they line up and create the model), and logical-mathematical (they develop the linear range, identify the median, and so forth). Second, you’ve given students a conceptual understanding, filtered through their own learning style, of what a median, upper quartile, and lower quartile are. This can save you hours of reteaching the concept to students who are unable to comprehend the concept from the traditional verbal-linguistic mode. More student brain activity is engaged, and many of your students will now be receptive to learning more via a verbal-linguistic model. Say you’re teaching history and plan to give a test on the American Civil War. On the test is a timeline where the students will have to place the major events of the Civil War in chronological order. As a 15-minute review activity, you can hand each student an index card with an event, such as Fredericksburg, Antietam, Cold Harbor, Gettysburg, and Shiloh. While you play Civil War”“era music in the background, have the students arrange themselves in order. The group that will benefit the most are the visual-spatial learners, because once they see where their classmates are standing and what cards they’re holding, this arrangement will become a mnemonic device that they can recall during the test. They might think: “Okay, I was holding Fredericksburg and Sally was next to me and she had Antietam. My friend Billy was on the other side of me holding Chancellorsville, and Rita was beside him holding Gettysburg….” But visual-spatial students aren’t the only ones to benefit from this activity. You’re also engaging kinesthetic learners (they’re moving around and getting into a life-size time line), interpersonal learners (they’re communicating and debating about who stands where), musical-rhythm learners (their learning is aided by the era-appropriate music in the background), logical-mathematical learners (they’re creating a chronological line), and verbal-linguistic learners (they’re reviewing notes and referring to the textbook for accuracy). You’re activating brain stimulation for five different learning styles in a single 15-minute activity–teaching smarter to meet all your learners’ needs. Think about different intelligences when it comes time for your students to show what they know, too. Say your students have just learned about the rock cycle in science class. You can set expectations by creating a general rubric that explicitly lays out what content your students should know, such as metamorphic rock, igneous rock, and so forth. Once that rubric is created, you can provide several different options for students with different intelligences and strengths to demonstrate their knowledge. For example, one student with excellent verbal-linguistic skills may choose to write a story about a rock as it journeys through the rock cycle. A music-smart learner may choose to write song lyrics, a visual-spatial learner may choose to create a poster, and a body-smart learner with great fine motor skills might decide to make a model. With your general-content rubric developed in advance and made clear to all of your students, it doesn’t matter whether they hand in a poster, song lyrics, or poem, as long as you can easily assess whether they have the content included and accurately developed. What do you think? 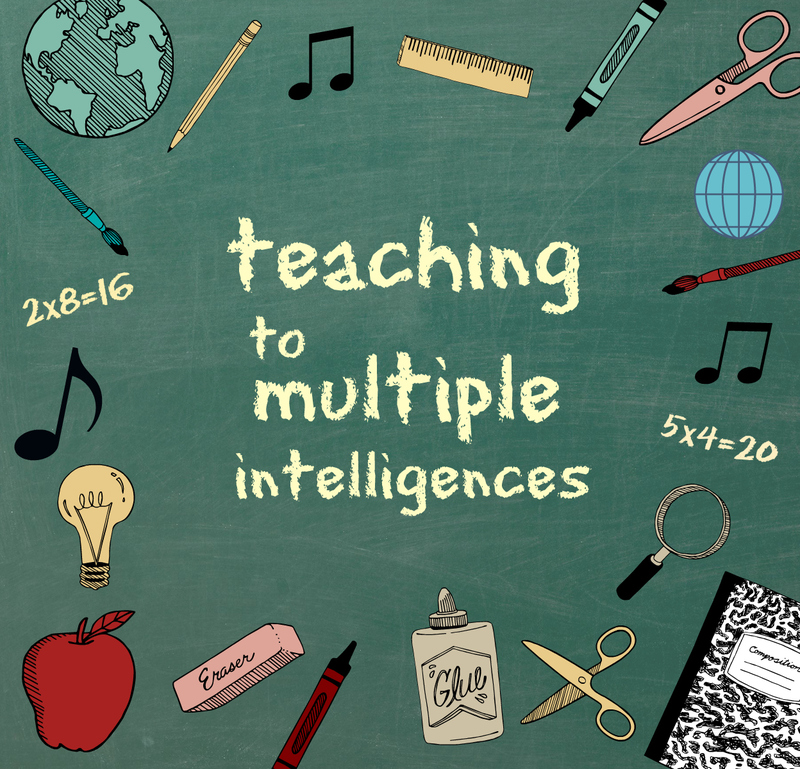 What are your favorite strategies for teaching to multiple intelligences? Share your thoughts in the comments below! 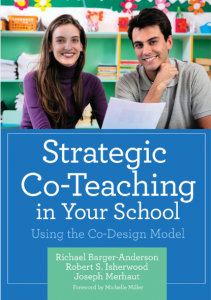 Suggestions in this post have been excerpted and adapted from Strategic Co-Teaching in Your School by Richael Barger-Anderson, Robert S. Isherwood, & Joseph Merhaut Barger-Anderson. The chapter was contributed by Robert Snyder, Ph.D. Learn more about the book, read an excerpt, and pick up your own copy here.